We are members of Homes for Cathy, a network of housing associations who have united to mark the 50th anniversary of Cathy Come Home. When this film, directed by Ken Loach, was screened by the BBC in 1966, it was watched by seven million people. For the first time, it brought the issue of homelessness to a mainstream audience. SBHG was formed in the aftermath of increased public awareness of homelessness. Back then the parishioners of St Stephen's Church in Shepherds Bush were appalled at the conditions in which some people were living – social unrest and the chronic shortage of decent housing meant slum landlords enjoyed a free rein. To highlight the continuing plight of homeless people and the need for viable housing solutions to reduce the numbers of families in temporary accommodation. Our ‘education pack’ will help teachers to involve teenagers in discussions and learning about the problems of homelessness. We will encourage our tenants to speak about their own experiences to camera so that these short ‘stories’ can be posted on our websites for local and national media to pick up. We work with PlaceShapers, the National Housing Federation, Shelter and Crisis. 2016: "Films give you insight into something you didn't know about." 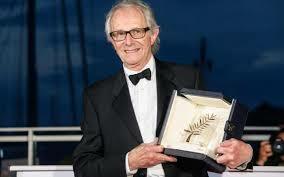 Ken Loach talks after a Cathy Come Home production by Cardboard Citizens. 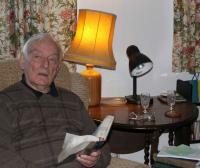 In an interview, Rev Asbridge recalls our early days.